At the end of Denali Hwy at mile 185 Richardson Hwy. Paxson Lodge has 3 floors. 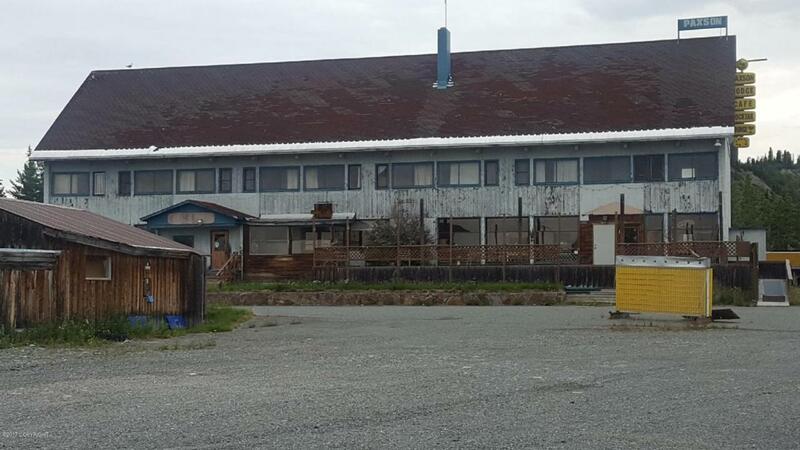 Top floor is 18 motel rooms, ground floor is a restaurant/bar, basement is unfinished and currently used for storage. Listing Office Real Estate Brokers Of Alaska. Copyright 2019 Alaska Multiple Listing Service, Inc. All rights reserved. DISCLAIMER: The listing content relating to real estate for sale on this web site comes in part from the IDX Program of Alaska Multiple Listing Service, Inc. (AK MLS). Real estate listings held by brokerage firms other than The Huntley Owen Team are marked with either the listing brokerage's logo or the AK MLS logo and information about them includes the name of the listing brokerage. All information is deemed reliable but is not guaranteed and should be independently verified for accuracy. Listing information was last updated on: 2019-04-20T15:39:08.507.